With a footprint of over 60 countries, OKI South Africa will be placing a key focus on the benefits of speciality colour printing at FESPA Africa 2018, where it will be showcasing revenue-boosting solutions for businesses across the graphic arts sector, from retail branding to sign makers and beyond. Exhibiting at Stand F55-66, Hall 2, from OKI's pioneering digital LED technology to large format inkjet devices, OKI South Africa will be demonstrating a versatile range of award-winning products for indoor and outdoor applications, to interior and exterior banner, wallpaper, car wrapping and expansive, durable billboards. The renowned large format printer will be live in action at Fespa. 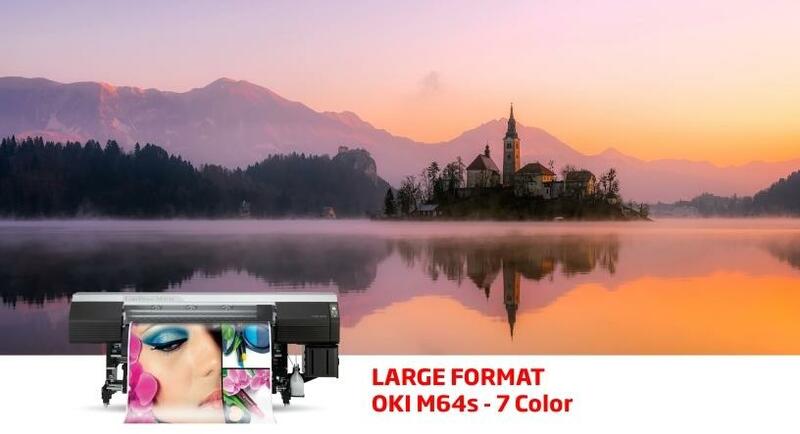 The OKI ColorPainter M-64s is designed to provide speed and affordability advantages, for high quality and unmatched graphic output at unrivalled speed for both indoor and outdoor use. The M-64s has active performance levels that are reached through the procurement of high quality production equipment, which unlocks the creative and commercial potential for the wide format industry. Educate yourself on outstanding print quality and media flexibility with the OKI C833, supporting all your everyday printing needs. The C833 is the ideal choice that fits into any small office or retail environment enabling excellent media flexibility with top-quality colour for in-house, on-demand printing of marketing materials from brochures to banners. It is the smallest A3 printer in the market, making it perfect for retail - enabling retails to optimise in-store space for SKU sell-out and an enhanced customer experience. The Pro Series range of printers takes graphic arts printing to a new level with the Pro7411WT, Pro9542, and the latest Pro Series Label printer, for outstanding print quality, with higher print speeds, lower total cost of ownership, complete media flexibility plus the unique option of printing with a fifth colour. The Pro Series portfolio has provided print for profit businesses of all sizes, with the flexibility to print vibrant full-colours even printing in white on an unrivalled range of media, including coloured paper, clear film and transfer media. The new versatile professional label printer creates labels with impact, built to serve a wide range of print requirements; the Pro Series Label Printer delivers the best results every time. 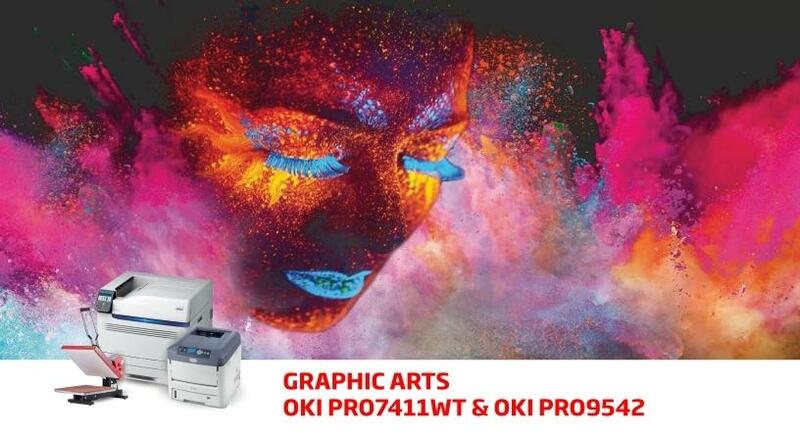 Packed with the latest in OKI digital LED technology taking creativity and flexibility to a new level, with professional four colour Pro1040 and five colour Pro1050 narrow-format printing across a wide range of materials. The new Pro Series opens the door to a range of label media that inkjet label printers simply cannot handle, enabling businesses to say "yes" to new creative ideals and complex print jobs. FESPA's event will see OKI South Africa 'alive with colour' as it exhibits its unique OKI product range designed to provide fresh inspiration and market-changing technology, including OKI's newly launched label printer and a preview of a new addition to OKI's professional print portfolio. OKI's full range of innovative printing solutions, from labels to billboards, will also be on display at the stand, enabling businesses to experience and learn how they can access new customers and additional new revenue streams. Written By: Segametsi Losaba, Marketing Coordinator, Printacom. Printacom Technologies is the sole authorised distributor of OKI printers and printer consumables in South Africa and sub-Saharan Africa, including the Southern African Development Countries (SADC) region. OKI Printing Solutions is a global business-to-business brand dedicated to creating professional printed communications products, applications and services which increase the efficiency of today's businesses. From printers to faxes and multifunctional products through applications and services, OKI Printing Solutions has brought to market a range of incredibly fast and high performance machines that regularly win awards and beat the competition. Today, OKI Printing Solutions is a major player in the printer market and is totally dedicated to creating relevant, high performance products, applications and services to meet the individual in-house printing needs of both today's and tomorrow's businesses.